I didn't buy my kids (or my husband) anything special for Valentines as generally I feel it is just another day rather than an excuse to buy a bunch of stuff. 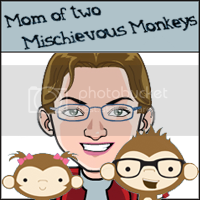 I do however like to do some special things for the kids and thought I would share them here. I made a special lunch for Nathan based around the Heart theme. 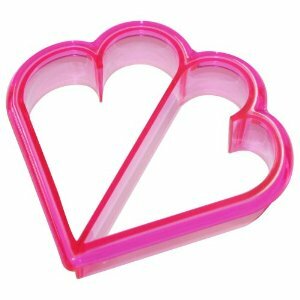 Unable to find my heart shaped sandwich cutter that looks like the one below, I made some mini sandwiches using cookie cutters instead. Then I cut up some cucumbers for him, but not just any cucumbers, I happened to see this heart shaped cucumbers advertised in a flyer for the weekend and just knew I needed to buy them for just this purpose! And in case you are wondering , these are not genetically modified, instead they are placed inside a mold after they have grown a bit to make them grow in the desired shape. There are star molds as well. Check out InventorSpot to see the molds and some examples for using the cucumbers once grown. For Karensa I decided to make something fun to send to school for her to share with her friends. These little bags of red homemade play dough turned out perfect! She even helped out by "scribbling" her name at the bottom of the cards! If you are looking for a great play dough recipe be sure to try this one, the Kool Aid makes it smell so good and does not stain your hands when using! What special things did you make? Link up to your Valentine related craft/food posts below!